Since last blogging, I feel I’ve lived a whole lifetime. There is so much to say about Haunt, Wakefield Lit Fest, the young writers groups, a Forward poetry commendation, a project with women in a bail hostel, running a steering group for people with learning disabilities, a CPD session for support workers and the Love Arts workshop. But those observations will have to wait. For the last couple of months, my spare moments have gone on preparing for this free exhibition which will be at Room 700 from 9th-29th November. Inspired by and highlighting text from ‘Spectacle de la Nature’, a beautiful 18th century naturalist text, I’ve put together a hybrid poem that crosses time and species. 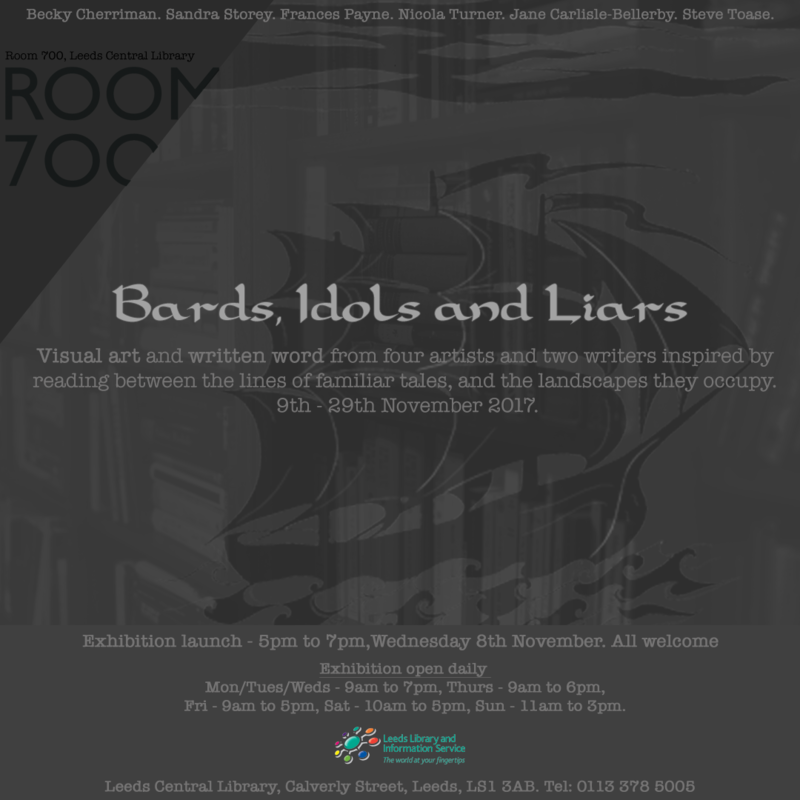 My work has often been inspired by Greek myth and fairytales and existing poems are also on display, linking to books in the collection. Expect immersive sculpture, magical two dimensional work, mythic flash fiction, slideshows and haunting audio. Come along to the launch on Wednesday 8th between 5 and 7 pm if you can. If not, pop along on another day in November and let us know what you think. Postcards of my work with original illustrations from the library’s collection will be available for sale behind The Art Library counter.